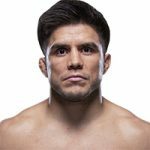 UFC Flyweight Champion Henry “The Messenger” Cejudo retained his title with a quick stoppage victory on January 19th at UFC Fight Night 143. Cejudo finished current bantamweight titleholder T.J. Dillashaw in the brief main event to maintain the top spot in the men’s 125-pound division. Also at UFC Fight Night 143, Joanne “JoJo” Calderwood earned a key win over former KSW Women’s Flyweight Champion Ariane “Violence Queen” Lipski. At Bellator 214, Ryan “Darth” Bader became a two-division champion by stopping “The Last Emperor” Fedor Emelianenko at heavyweight.